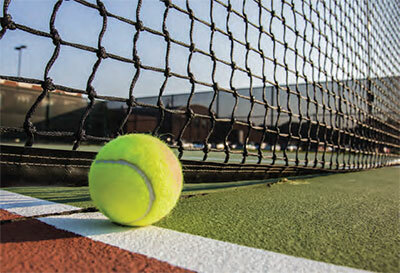 Tennis, like golf, is a year-round activity on Hilton Head Island and in Bluffton. One of the top 50 tennis destinations in the United States, Hilton Head has the facilities and the competition to satisfy the most discriminating player. Our 20-plus tennis clubs offer more than 300 courts. Some residential developments have their own courts, which may be used by guests staying in those developments. Players may access facilities on private plantations if they make arrangements to play. Ask for details when reserving your court time. We’ll help you find that perfect court. The following racquet clubs and tennis centers are open to the public. Racquet club. Clay, hard or grass courts. Pro shop. Tennis facility located in Harbour Town in Sea Pines. It offers a complete pro shop and instruction. Adjacent to Sonesta Resort. Full complement of facilities and instruction. Call about their free weekly pro exhibitions much of the year. Located near South Beach Village. Play Hilton Head Island’s largest tennis facility. Full complement of facilities, instruction. The Island Recreation Association maintains the Town of Hilton Head’s public tennis courts. Play is on a firstcome, first-serve basis. There is no fee. In the event that courts are being used for team play and/or lessons, signs are posted directing players to other locations. Call 843-681-7273 for more information. Chaplin Community Park, Singleton Beach Road, 4 courts, lighted Cordillo Courts, Cordillo Parkway, 4 courts, lighted. The Bobcat Public Tennis Center is located at 12 McCracken Circle in Bluffton. It has four outdoor courts that are not lighted. The Bluffton Recreation Center is located at 61 Ulmer Road in Bluffton. There are two hard surface courts that are located in the park. For more information, call 843-757-1503. Hilton Head offers a wide variety of tennis camps, programs and lessons for adults and juniors for different ages and skill levels. Whether you are a beginner or perfecting your competitive tournament skills, you'll be able to find a tennis program to fit your needs. Below are some of the places offering lessons.